This month's cover features Jean Ure's new book Faces at the Window (see the Jean Ure Authorgraph) with a photograph by Oliver Hunter. The book is published by Corgi Freeway and we are grateful to Transworld Publishers for their help in using this illustration. When you put two such masters together, you should get pure magic and in this book you do! Benson's breathtaking illustrations match Waddell's ability to capture the very essence of our feelings. 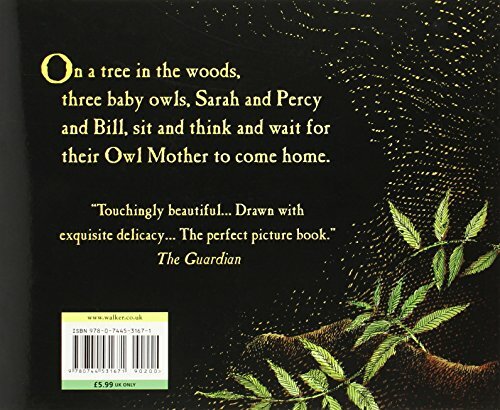 Owl Babies is a picture book that should be bought in quantities and issued to every family with young children. It touches on the deepest fears of all of us as we wait for a loved one to return, but in its reassuring resolution we can celebrate the warmth at the heart of a good relationship.